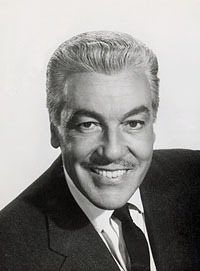 AKA Cesar Julio Romero, Jr.
Purported grandson of Cuban patriot José Martí. William J. Mann, Behind the Screen (2001), pp. 157-58. See also his interview by Boze Hadleigh in Hollywood Gays (1996), where he admits his homosexuality, and also reveals that he slept with Desi Arnaz.